The average person typically drinks Gatorade because it was the only thing left in the gas station cooler or because they’ve battling a hangover. But the sports drink still wants to appeal to athletes – and not just as something to dump on their coach after a victory. 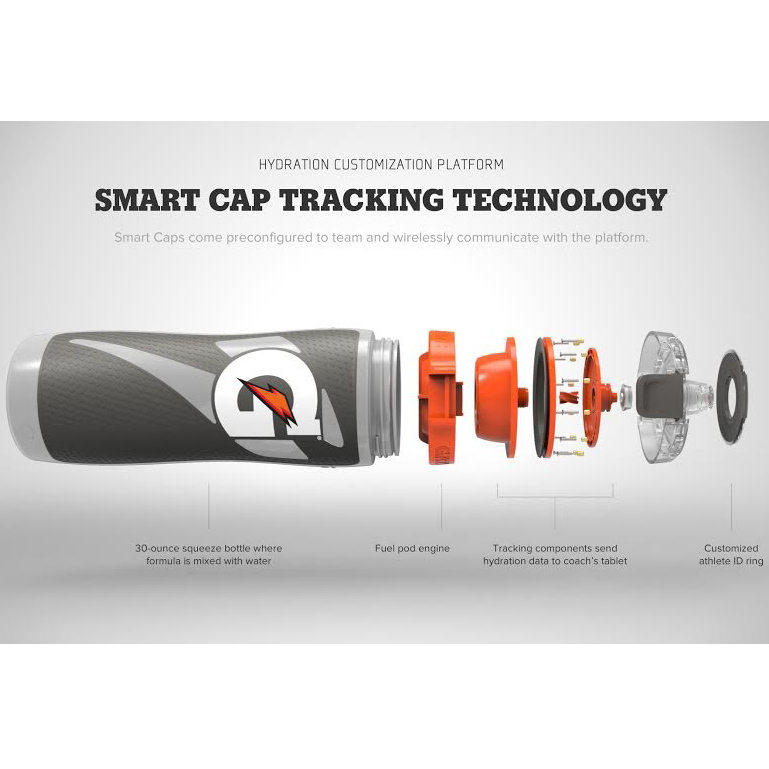 So for those who use the rehydrating beverage for its intended purpose, Gatorade is working on taking their product to an elite level with new “smart cap tracking technology.” The way it works sounds a bit like a science fiction horror movie: Users wear a chip-enabled patch on their skin that tracks their sweat levels, information that determines their electrolyte and hydration needs. Meanwhile, another chip inside their Gatorade bottle’s “smart cap” tracks how much is actually being consumed. All this data is then crunched in an app that is able to make recommendations about the users hydration needs. But does such an extreme level of customization really improve athletic performance or is the whole thing just a marketing gimmick? It’s hard to tell, but I’ll tell you what: If one of those pods is specifically designed for hangovers, I’d consider giving it a try.